Did you know what ailment frightens majority of Americans the most? Well, it’s none other than the fear of vision loss according to a recently published report. For about 47% of Americans, fear of losing sight is the worst of health concerns. However, many Americans still fail to be responsive to the eye diseases, problems and factors that can potentially damage their eyesight, delaying to take appropriate steps to restore (if not improve) their vision, according to the Wilmer Eye Institute’s national study involving 2,044 adults from all around the country. 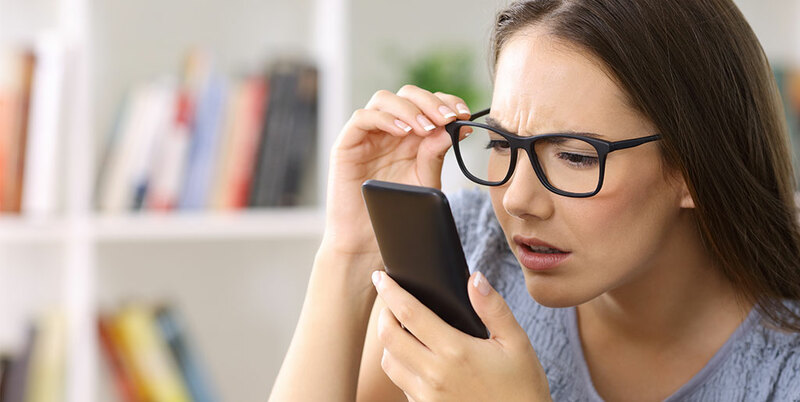 In USA alone, 23.7 million adults are either totally unable to see or face trouble seeing even with the help of corrective lenses, the number expected to double by 2050. So, it’s never too late to start taking good care of your eye health, whether your vision is suffering steadily or you are faced with eye problems all of a sudden. 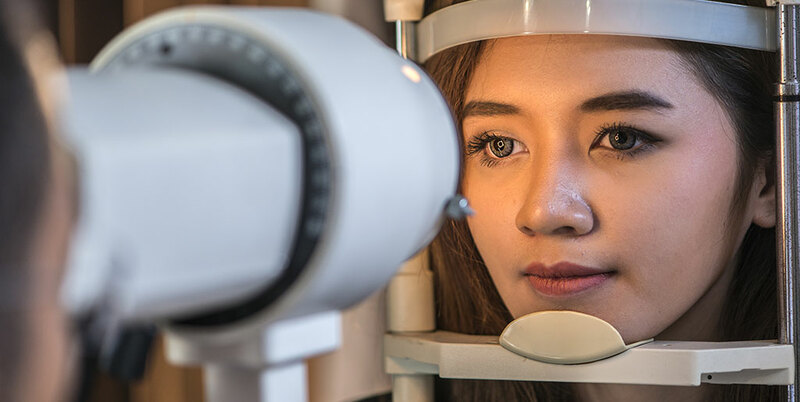 If any of the signs and symptoms listed in these ‘19 Most Common Eye Problems – Signs, Symptoms and Treatment Options’ seem to worsen up or persist for more than a few days; don’t hesitate in approaching a seasoned eye doctor for further examination. More than 10 million people across the US are affected by Macular Degeneration, also commonly referred as AMD (Age Related Macular Degeneration), which outnumbers the victims of glaucoma and cataracts combined. Macular degeneration is the name given to the damage to the central portion of retina, known as the macula. With its ability to focus central vision in the eye, macula helps us read, view objects in detail, recognize colors and faces, drive a car and get a detailed image of an object. Presently, macular degeneration makes it to the list of incurable eye diseases with its two basic types, i.e. ‘dry AMD’ and ‘wet AMD’. The ‘dry’ (atrophic) type makes about 85% – 90% of the total victims of AMD, while the rest 10% – 15% fall under the ‘wet (exudative) AMD’. To this date, there is no single cure capable of completely treating macular degeneration. There are some prescription medications helpful in preventing the growth of abnormal blood vessels within the eye – Anti VEGF medicines, administered by injecting into the eye cavity. Photodynamic therapy or laser therapy is also an option in destroying abnormal blood vessels. Dietary supplements enriched in certain vitamins and minerals may also be prescribed to counteract vision loss. Low vision aids also help people make the most of their receding vision. Cataracts happen to be another of the most widely existing eye problems. The formation of cloudy areas in the eye lens is referred as the cataracts. Light passes through a clear eye lens to your retina (just like a camera), where images are processed. With cataracts affecting your eye lens, light cannot pass through to the retina smoothly enough. As a result, you are unable to see as clearly as people without cataracts and may also notice a halo or glare around lights at night. Through early stages of cataracts, new eyeglasses, antiglare sunglasses, magnifying lenses and brighter lighting can help. If not, surgery turns out to be the only effective treatment, which involves removal and replacement of cloudy lens with an artificial one. 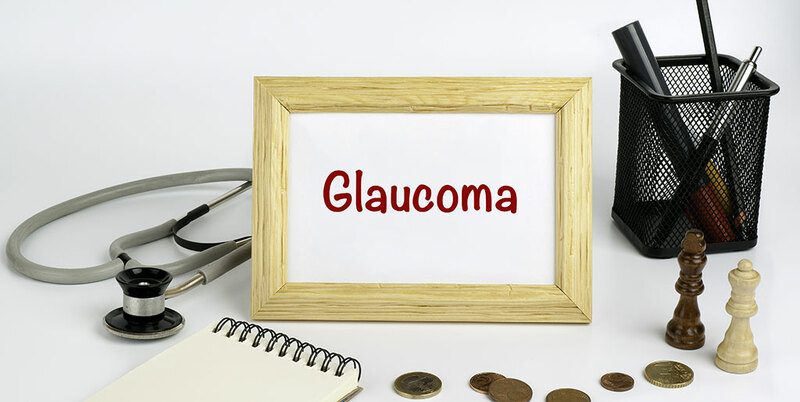 Glaucoma is an eye condition where eye’s optic nerve is damaged, getting worse over time. Mostly, it results in pressure buildup within the fluid in your eye, which can potentially damage the optic nerve responsible for transmitting images to your brain. This increased pressure, also referred as intraocular pressure, might also lead to permanent vision loss if it continues for a longer period of time. If left untreated, glaucoma can result in permanent blindness in a matter of few years. Open-angle Glaucoma: The most common type, also referred as ‘wide-angle glaucoma’ is an eye condition where the trabecular meshwork (the drain structure of the eye) looks normal, but the flow of fluid within it is not the way it should be. Angle-closure Glaucoma: Westerners suffer less from this type of glaucoma than Asians. It is also known as acute or chronic angle-closure or narrow-angle glaucoma. This affects the drainage of your eyes because the angle between your cornea and iris gets too narrow, thus building up excessive pressure in your eye. This condition is also linked with farsightedness and cataracts. Signs and symptoms of both types of glaucoma vary significantly. From eye drops to pills, traditional surgery and laser surgery, or even a combination of these methods, an experienced eye doctor would recommend any treatment as long as it is focused on preventing vision loss, because once eyesight is damaged due to glaucoma, vision loss is irreversible. Diabetic retinopathy is basically a diabetes complication, which affects eyes by causing damage to the blood vessels spread throughout the light sensitive tissues of the retina (the back of the eye). Anyone having type 1 or type 2 diabetes can develop this eye condition, especially those who have diabetes for a long time with fluctuating blood sugar levels. Usually, both eyes get affected by diabetic retinopathy. There is no reliable way to cure retinopathy once it has progressed to advanced stages. However, photocoagulation (laser treatment for retinopathy) comes really handy in preventing vision loss if chosen before retina being severely damaged. Another treatment option for diabetic retinopathy in its earlier stages is vitrectomy, a process through which vitreous gel is surgically removed while retina has not been severely damaged. One of the functions of tears is to keep your eyes lubricated, and when they fail to provide adequate lubrication for the eyes, you are being affected by dry eye syndrome. From your body being unable to produce enough tears to production of low quality tears, there can be a host of reasons behind inadequate lubrication for your eyes. You can experience stinging or burning sensation when you have dry eyes, which can be experienced under certain situations, such as in an air-conditioned room, while traveling on an airplane or looking at a computer screen for a long time without any breaks. OTC (Over-the-counter) topical medications: These can be used when your dry eyes syndrome is mild in nature. Artificial tears, gels and ointments can be some of the commonly used OTC medications to treat mild dry eyes. Prescription Medications: FDA approves only ‘Lifitegrast’ and ‘Cyclosporine’ as prescription dry eye medications. To deal with eye inflammation, ‘Corticosteroid’ eye drops may also be prescribed as short-term treatment. Devices: There are also some FDA-approve devices that serve to temporarily relieve you from dry eyes by stimulation of nerves and glands responsible for tear production. Surgical Options: Your eye care professional may resort to insertion of silicone-based punctal plugs to partially or completely plug tear ducts through the inner corners of your eyes to ensure tears aren’t draining from the eye. Lifestyle Changes: Lifestyle based enhancements also prove helpful in dealing with dry eyes syndrome. Taking periodic breaks or cutting your screen exposure can be really helpful. Avoiding warmer temperatures also helps in doing so. Conjunctivitis, also known to many as pinkeye is a condition that inflames the tissues lining the back of your eyelids and covering your sclera (conjunctiva). As a result of this, your eyes can turn itchy, red, blurry, teary and discharging, sometimes also giving you a feeling that something is in your eyes. It is also one of the most commonly prevailing eye problems. Though it is highly contagious (readily affecting children), but rarely serious, quite unlikely to damage your vision, more so when identified and treated early. Allergic Conjunctivitis: Mostly affects people already suffering from seasonal allergies, when they contact with something that triggers an allergic reaction within their eyes. Giant Papillary Conjunctivitis: Caused due to long term presence of a foreign body in an eye, affecting people wearing hard or rigid contact lenses or the soft ones not being replaced frequently. Bacterial Conjunctivitis: This is the type of eye infection caused mostly by streptococcal or staphylococcal bacteria that’s transferred to your eyes via your own respiratory system or skin. Viral Conjunctivitis: Contagious viruses thriving in common cold are mostly responsible for spread of this type of conjunctivitis, thus affecting people by exposure to the sneezing or coughing of someone suffering from an upper respiratory tract infection. Ophthalmia Neonatorum: One of the most severe forms of bacterial conjunctivitis specifically affecting newborn babies, also capable of causing permanent eye damage if not treated immediately. This spreads as a result of exposure to noxious chemicals, chlorine in swimming pools or even air pollution. Appropriate treatment options for conjunctivitis vary depending upon the cause of this eye condition. Allergic Conjunctivitis: It must start with avoiding exposure to the irritant(s). Artificial tears and cool compresses suffice in case of mild intensity of the disease. Antihistamines or non-steroidal anti-inflammatory drugs may be prescribed in case of severe allergic conjunctivitis. And for people with persistent allergic conjunctivitis, topical steroid eye drops may be the appropriate option. Bacterial Conjunctivitis: Antibiotic eye drops or ointments work well for this type of conjunctivitis, mostly requiring 3 to 4 days of treatment for reasonable recovery. However, it’s highly recommended that patients complete the entire course of antibiotics to totally avoid recurrence. Viral Conjunctivitis: Viral conjunctivitis cannot be treated with drops, ointments or some antibiotics until the virus runs its course like common cold. This may take up to about 2-3 weeks. Chemical Conjunctivitis: The standard treatment for chemical conjunctivitis includes thorough flushing of the eyes using saline water. In some cases, people might need to go for topical steroids. When the retina is separated or detached from its underlying tissues holding it in its place within the eye, the instance is referred as the retinal detachment. Sometimes, it all begins with small areas of the retina being torn (attributed as retinal tears or retinal breaks), eventually leading to retinal detachment. The longer you take in treatment of retinal detachment, the greater your chances of total vision loss in the affected eye are. Rhegmatogenous: These are the most common of all retinal detachments whereby a small break or tear appears within the retina, resulting in flow of the fluid underneath the retina, eventually separating it from the retinal pigment epithelium (RPE), which is pigmented cell layer responsible for nourishment of the retina. Tractional: In this type, the retina detaches due to the contraction of the scar tissue on surface of retina, resulting in its separation from the PRE. Tractional detachment is not so common. Exudative: This sort of detachment takes place due to eye injury/trauma, inflammatory disorders and other such retinal diseases. In exudative detachments, the retina suffers no tears or breaks despite the fluid leaking underneath it. Cryopexy (a freeze treatment) or laser surgery is used by an ophthalmologist to treat small holes and tears. Tiny burns are made around the damaged area to “weld” the retina back into place, whereas “cryopexy” is used to freeze the area around the weld, helping reattach the retina. Vitrectomy may also be performed in some cases, during which a tiny incision is made in the white of the eye (the sclera). Sometimes, it also involves removing vitreous (a gel-like substance filled in the center of the eye) by means of a specialized instrument, and injecting gas into the eye to push retina back to its appropriate position. This is the name collectively given to a group of eye diseases causing inflammation in the uvea, eye’s middle layer containing the most blood vessels. Uveitis may also result in destruction of eye tissue, leading to the loss of eye in some cases. Uveitis is mostly described by the part of the eye it affects. Anterior Uveitis: Affecting the front of the eyes, this is the most widely existing type of uveitis found commonly in young and middle-aged people. Intermediate Uveitis: Commonly found in young adults, intermediate uveitis often hits the virteous. It is also linked to a host of disorders like sarcoidosis and multiple sclerosis. Posterior Uveitis: Least common of all, posterior uveitis primarily affects the back of the eye, mostly involving the retina as well as the choroid. That is why it is also referred sometimes as choroditis or chorioretinitis. Pan-Uveitis: This refers to the instance when inflammation occurs in all three major parts of the eye. One of the most famed forms of pan-uveitis is the Behcet’s disease, severely damaging the retina. Inflammation Reducing Drugs: Your eye doctor may resort to some anti-inflammatory medication based eye drops, such as corticosteroid. If it is unable to resolve the issue, a corticosteroid pill or injection can be the next options. Bacteria/Virus Fighting Drugs: if some sort of infection is the underlying cause of your uveitis, your ophthalmologist can prescribe antibiotics or antiviral medications to control the infection, with or without corticosteroids. Immunosuppressive Drugs: Immunosuppressive and cytotoxic drugs are used to treat uveitis if it has affected both eyes, because at this stage, it doesn’t respond well to corticosteroids and can potentially threaten your vision.2: Surgical and Other Options. Vitrectomy: A surgical procedure used for removal of excessive vitreous in your eye can be the only way out in some cases. Device Implanting Eye Surgery for Slow and Sustained Medication: Posterior uveitis, which is very difficult to treat otherwise, may be treated by implanting a device in eye. The device is introduced in the eye for slowly releasing corticosteroid medications for about two to three years. Recurrence is also a possibility with uveitis. Consult your eye doctor immediately in case of experiencing any of the associated symptoms. Another of the most commonly existing eye problems, eyestrain refers to a common condition in which your eyes get tiresome and fatigued due to intense use; for instance, after looking at a computer screen (or other digital screens) for prolonged time period and driving long distances. Eyestrain can be quite irritating sometimes, but still not capable of seriously inflicting your eyes or vision. It normally fades out after you rest your eyes and follow other ways to sooth your eyes. Taking frequent breaks from digital screens and reading activities. Improving your home environment, lifestyle and work habits, thus inculcating more breaks for your eyes. In case of dry eyes and blinking problem, your doctor might recommend artificial tears. Natural treatments like a yoga program, visual cleansing exercises and relaxation routines to lessen stress within your eyes and head. ‘Nyctalopia’ or night blindness is a kind of vision impairment in which people are unable to see rightly at night or in other dimly lit environments. Unlike commonly perceived, night blindness doesn’t totally prevent you from seeing at night. You might only feel increased difficulty in seeing or driving in places not adequately lit. Night blindness is not considered to be a disease itself; it’s more like a symptom of some other eye problem like untreated nearsightedness. The only symptom associated with night blindness is increased difficulty seeing things in dark. It seems to be effecting more when your eyes undergo a transition from a properly lit environment to a lowly lit environment. Similarly, you’ll have problems driving at night due to sporadic nature of vehicle’s headlights and streetlights on roads. Your eye doctor will be able to diagnose night blindness after thoroughly examining your eyes. Some types of blindness have got a treatment, while others don’t. Once your doctor has determined the underlying cause of your blindness, you can start taking appropriate treatment. Night blindness caused due to cataracts, nearsightedness or vitamin A deficiency can be treated with corrective lenses like contacts or eyeglasses. 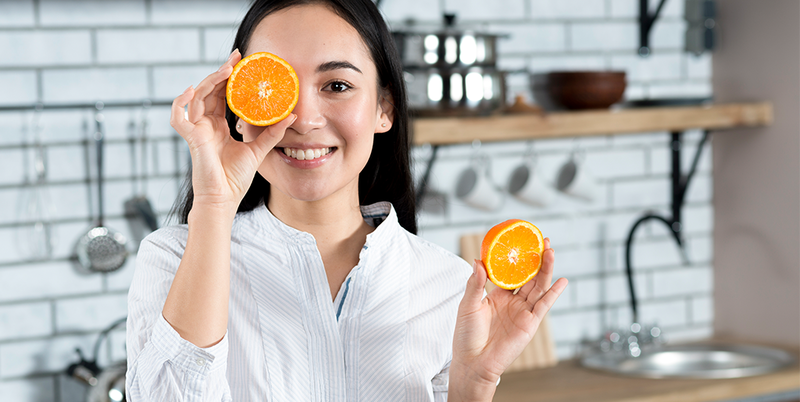 Color blindness, also known as color deficiency is an eye condition when the pigments found in eye cones have some problem and you cannot see the colors in the normal manner. Red-green colorblindness, the most common form of color blindness, is a type of vision impairment where a person is unable to differentiate between red and green colors. Similarly, there is blue-yellow color blindness as well and people suffering from it almost always have red-green color blindness as well. In rare cases, the cones lack any color pigments at all, so the eyes can’t see any color at all, the worst form of color blindness, also known as ‘achromatopsia’. Color blindness is basically a genetic condition, which seems to be lenient with women than with men, affecting 1 out of every 10 men to some degree. Unfortunately, color blindness still lacks a reliable cure, though glasses and contact lenses with filters are available to assist color deficiencies whenever needed. Luckily, most color blind people enjoy normal vision in all aspects but one, and all they require is certain adaptation methods. Strings, black/gray specks or cobwebs drifting around with the movement of your eyes and darting away when trying to look through them, eye floaters are basically spots in your vision. These are mostly produced due to age-related changes taking place through the jelly-like substance (vitreous) within your eyes, turning into more and more liquid. This vitreous contains microscopic fibers, which tend to cast tiny shadows on your retina when vitreous clump away. These shadows are what floaters are all about. Rarely, the density and frequency of floaters gets to the point that they start significantly affecting your vision, thus needing vitrectomy. This surgical procedure is used to remove the vitreous gel, also removing the floating debris contained within it and relieving your eye. When you can view the objects close to you clearly enough, while getting a blurry vision of the objects far away, this eye condition is referred as myopia or nearsightedness. This happens because of irregular bending of light (refraction) due to the shape of your eye. The resultant images are focused in front of your retina rather than being focused right on it. Near sightedness seems to be running in families, developing either gradually or rapidly, getting severe mostly during childhood and adolescence. Different options are available as myopia treatment, such as corrective glasses, contact lenses or refractive surgery. You might need to wear your glasses all day long or just when you want to have a sharp distant vision (watching a movie, driving, etc. ), depending upon the intensity of your myopia. Unlike myopia, hypermetropia or farsightedness refers to an eye condition when you have a clear vision looking at far placed things, while getting a blurry vision of nearby objects. If you feel tiredness in your eyes quite often, coupled with problems focusing on close by objects, you might be suffering from hypermetropia. Corrective glasses and contact lenses are some of the most common ways of treating hypermetropia. Other treatments like LASIK surgery is also advisable for adults suffering from mild to moderate levels of farsightedness. When your vision gets out of focus due to the abnormally curved cornea (the clear tissue lining the front of the eye), this eye disorder is referred as ‘astigmatism’ or ‘keratoconus’. People having a family history of acute astigmatism are highly susceptible to this eye problem. Moreover, people using power tools without wearing safety glasses are also prone to the injuries resulting in acquired astigmatism. Astigmatism can be treated in a host of ways including corrective contact lenses, eyeglasses, laser surgery as well as other refractive surgery procedures. LASIK (Laser in Situ Keratomileusis) or PRK (photorefractive keratectomy) are also used to treat astigmatism. Human eyes’ inability to focus on nearby objects due to gradual loss of vision is referred as “Presbyopia”, an eye disease normally associated with aging. Mostly, it remains unnoticeable until early to mid 40s and continues progression until 65 years of age or so. Most people become aware of presbyopia only when they feel compelled to hold books, newspapers and other reading materials at arm’s length to be able to read something on them. It can be detected with the help of a basic eye exam. Treatments for presbyopia aim at assisting your eyes in focusing nearby objects. Corrective eyeglasses, contact lenses, refractive surgery or lens implantation for presbyopia are some of the mostly sought after treatment options for this eye disease. The phenomenon of protrusion of the eyeball is referred as “Proptosis”, also termed as “Exophthalmos” when such protrusion is caused by the “Graves’ disease”. Orbital mass or inflammation, thrombosis of cavernous sinus, fistulas and expansion of orbital bones are some of the common reasons behind this abnormal protrusion of eyeballs. In severe cases of proptosis, an ophthalmologist mostly suggests lubrication for corneal protection. 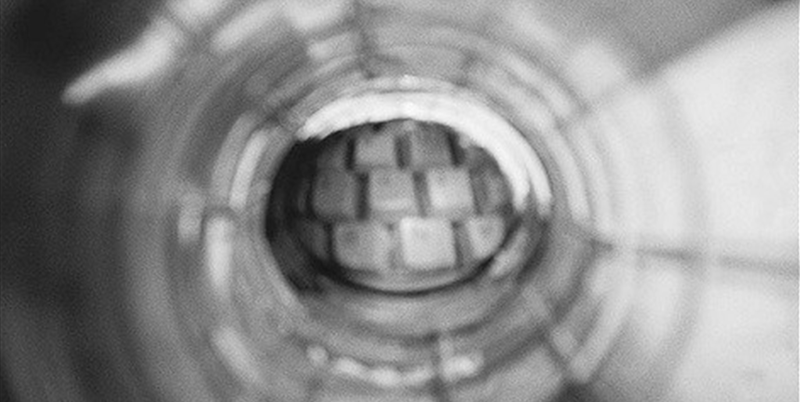 When lubrication fails to work, experts resort to surgery, which results in improved coverage of the exposed eye surface. Orbital congestion due to inflammatory orbital pseudotumor or thyroid eye disease is treated with specific systemic corticosteroids. And for cavernous sinus caused by arteriovenous fistulas, selective embolization works best. Strabismus (or “Crossed Eyes”) represents misaligned eyes pointing in different directions and this misalignment can either be intermittent or constant. Strabismus exists in four common forms, i.e. “esotropia” and “exotropia”, “hypotropia” and “hypertropia”. Esotropia is when one eye fixates on an object/point of interest, while the other eye turns in; whereas exotropia is when it turns out. Similarly, turning down of the other eye while one fixes at a point is hypotropia and hypertropia is when it turns up. Strabismus usually occurs because the muscles controlling the movements of the eye and the eyelid, the extraocular muscles, fail to do so in a coordinative manner. Moreover, a disorder in the brain affecting the coordination of the extraocular muscles can also become the cause of strabismus. It can affect children as well as adults and about 4 percent of US population is believed to be suffering from this eye disease. Strabismus is treated differently in kids and adults. 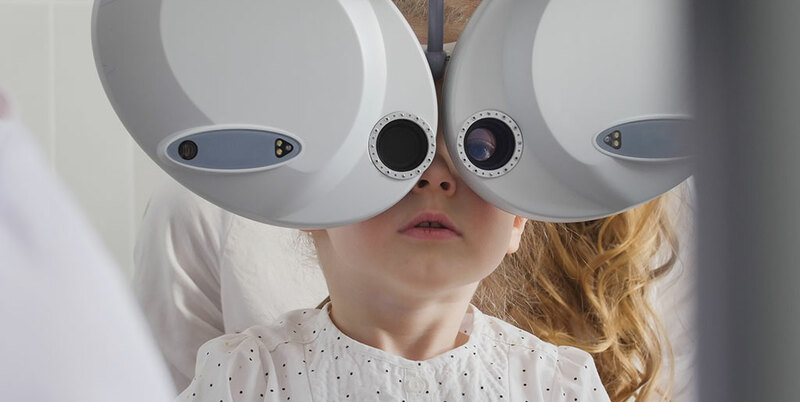 Strabismus in kids is treated preferably with eye patching, eye glasses, and/or atropine drops. If none of these prove effective, then an eye muscle surgery might be advised by your eye doctor, which involves tightening or loosening of the muscles causing the eye to wander. In most cases, kids can go home the same day after receiving surgical treatment. Adults are treated differently for strabismus depending upon its severity, relying on various options ranging from observation to surgery. For treating minor to mild cases of strabismus, optical approaches including prism correction are preferred. If all such options run out, only then an ophthalmologist would advise for surgery after considering a host of factors and variants. Macula is the central region of the retina (constituted by the light sensitive tissues located at the back of the eye, wherein macula within the retina serves for sharp, straight-ahead vision) and unwanted buildup of fluids there is referred as the “Macular Edema”. Any accumulation of fluids inside the macula results in swelling and thickening of the macula, which leads to distorted vision. Since the retina is richly populated with blood vessels, abnormal leakage of blood from damaged blood vessels there can result in fluid accumulation within the macula. Diabetic Retinopathy (DR – an eye disease mostly affecting diabetic people) is considered as one of the most common causes of macular edema. In fact, any eye disease damaging retinal blood vessels can lead to macular edema, such as age-related macular degeneration, an inflammatory disease sometimes, or even a wrongly performed eye surgery. Wavy or blurry vision in or around your central field of vision is considered as the very first symptom of macular edema in most cases. Some people also complain of colors appearing faded or washed. In fact, macular edema symptoms vary anywhere between slightly blurry vision to significant vision loss. If this disease attacks only one of your eyes, you may not even notice blurriness in your vision until the condition is already in advanced stage. Eye-drops Medication: This serves best in treating cystoid macular edema, a type of macular edema that can potentially damage the macula after cataract surgery and comprises of non-steroidal anti-inflammatory (NSAID) eye-drops. Such treatment can last for a few months. Steroid Treatment: When inflammation is the reason behind macular edema, your eye doctor may recommend steroid treatment, which can be administered in form of pills, eye-drops or injections. Laser Treatment: As the name suggests, this surgery is about applying numerous tiny laser pulses to the regions of fluid leakage around the affected macula, so that leaking blood vessels can be sealed and vision can be stabilized. Anti-VEGF Medication: This treatment is based on anti-VEGF drugs, which are administered to the damaged eye through a very slender needle. Anti-VEGF (anti vascular endothelial growth factor) drugs are meant to curb the growth of abnormal blood vessels in your retina, thus helping prevent unwanted fluid leakage. Vitrectomy Surgery: Sometimes, macula undergoes vitreous pulling, which results in macular edema (vitreous is the jelly like substance filling the back of the eye). Under such circumstances, seasoned eye doctors resort to “Vitrectomy”, a procedure in which vitreous is removed from the eye using tiny instruments, also peeling off scar tissues damaging the macula due to traction. Eyes are highly complex and sensitive of body parts requiring extra care preservation if you want them to last you long enough to live a healthy, vibrant and colorful life. In addition to taking care of them personally, make sure to be observant about any problematic signs and symptoms and respond by consulting an eye doctor, so that your eyes can get professional care and treatment before it’s too late.